Professional Advice: The new school year without lice! The right thing to repulse them and to get them off. 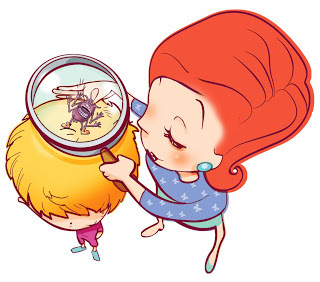 Moms’ enemy number 1, lice are a real pain! Each school year, it is always the same fear. Information from school preventing their return prove once more that their extinction is not yet arrived! A nightmare that makes one’s hair stand on end! Treated as an ugly feature and a lack of hygiene, lice affect all social circles and go over all heads, even the cleanest! Nobody is safe from contamination. Mainly transmitted directly (contact between hair), it is in the collective area that risks are high (school, leisure centre, child care) and after the holidays. Lice feed on human blood and do not always cause itching. One good thing to know against the gossip they do not transmit disease and do not live on pets. Very tenacious, we don’t get rid of lice and nits so easily. By adopting the right actions and good reflexes, they will collapse and leave you in peace. 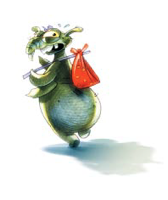 Find out how you’ll definitely be out of this nightmare fare away of such parasites. _ Detect early signs if your child scratches or if there are lice in the entourage. _ Observe carefully: at least once a week, or daily for suspicious times. Under a good light, look for lice (tiny gray insects) and nits (eggs whitish, shiny and translucent hanging near the hair root), especially behind the ears and near the neck. Separate the hair section by section, pass the thin comb scratch the scalp and drag the comb from root to the tip of the hair, and all around the head. After each combing, check for lice or nits on the thin comb. Wash your hands after each examination. _ Treat: products against lice are pharmacy, ask your pharmacist for advice. Follow the instructions and leave on as required. It is unnecessary to leave more time indicated. Apply the same product a second time 7-10 days after the first, even if you do not see nits or live lice in the hair. If 48 hours after the first application lice are still alive, ask your pharmacist who will advise you another product. _ Comb theme: according to instructions dry the hair pass the thin comb (special comb for lice) in each strand of hair. Take a section of hair about 2 cm wide, gently scratch the scalp and slide the comb from the root to the tip. If the hair is long, you can separate with hair clips or elastic should be thrown away or disinfect after use. Soak the comb in hot water after each time you brush a lock. To remove a nit that resists to the comb, you can use fingernails or tweezers, and drag it along the hair. warm setting for 20 minutes. _ Disinfect potentially contaminated objects such as brushes, combs, clips, rubber bands etc.. or let them soak in water at 60 degrees Celsius. For this endless story stops once and for all it is essential to warn! _ Prevention is better than cure: for a good prevention do not exchange clothes or loan hat, scarf, hairpin, brush etc. It is useless to traumatize your child by cutting all its length or by shaving his head. Tie the hair, it will less likely be in contact with the hair of other children. Be carful: There are repulsive products on the market that are unfortunately not effectives. The best prevention is being vigilant and treating it from the appearance of colonization! If you go to the hairdresser, tell him! Don’t lie to him he won’t appreciated and will be in great disarray. He can transmit lice or nits to his customers and will have to disinfect everything behind your way. If he is aware of the inconvenience he may take the necessary precautions. It is always better that your child is treated properly, unfortunately the hairdresser cannot do anything better than the treatment in pharmacies.